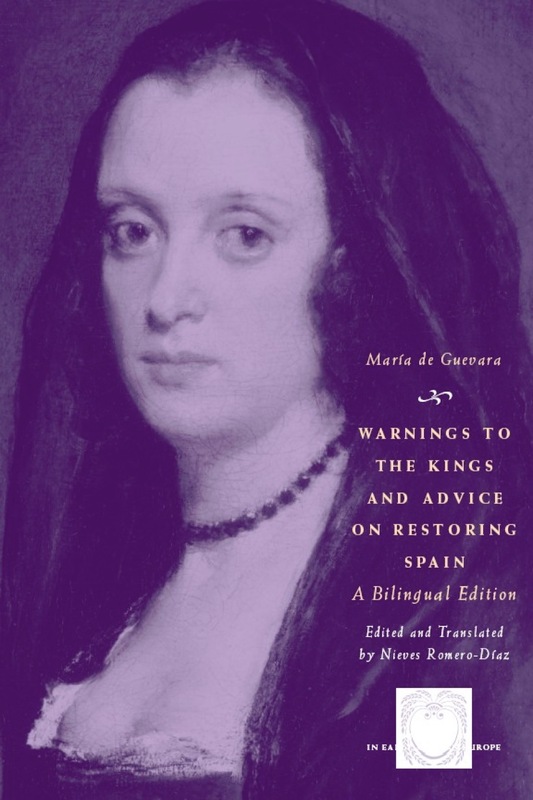 During a pivotal point in Spanish history, aristocrat María de Guevara (?–1683) produced two extraordinary essays that appealed for strong leadership, protested political corruption, and demanded the inclusion of women in the court’s decision making. “Treaty” gave Philip IV practical suggestions for fighting the war against Portugal and “Disenchantments” counseled the king-to-be, Charles II, on strategies to raise the country’s status in Europe. This annotated bilingual edition, featuring Nieves Romero-Díaz’s adroit translation, reproduces Guevara’s polemics for the first time. Guevara’s provocative writings call on Spanish women to bear the responsibility equally with men for restoring Spain’s power in Europe and elsewhere. The collection also includes examples of Guevara’s shorter writings that exemplify her ability to speak on matters of state, network with dignitaries, and govern family affairs. Witty, ironic, and rhetorically sophisticated, Guevara’s essays provide a fresh perspective on the possibilities for women in the public sphere in seventeenth-century Spain. Appendix A Memorial de la Casa de Escalante . . . Memorial of the House of Escalante . . .
"It is wonderful to have Guevara’s works in translation and, inasmuch as there is no other modern edition of them in the original Spanish, it is extremely useful that [the] translation contains the facing Spanish original." "The combination of education, autonomy and chutzpah make the two texts containing her written advice for royalty . . . a fascinating read."